All submissions should be sent to THRDS in one file via WeTransfer or Dropbox; ideally to info@THRDS.co.uk or the relevant editor, with a clear indicator that the work is a submission to ‘STYLE BY‘. We need work in proportion to 1141 pixels wide at 300 dpi without exception. In the email please supply all credits, this includes the full team worked on the piece, any models and agencies, and all clothing/product credits that are required. We will refuse to submit if this information is not sent through to us. We can only guarantee credits will be used should your submission be successful. THRDS has created it’s own staple fashion content, film and is recognised as the home of refreshing medium. THRDS has worked with filmmakers of contemporary fashion, which we focus on supporting and nurturing emerging talent. We aim to continually offer our platform for new filmmakers to showcase their creative work. Submissions of fashion films for inclusion on THRDS are very much encouraged and will be considered on an individual basis. 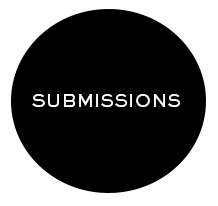 Please contact us on info@THRDS.co.uk with a detailed written outline of your submission, as well as a link to the film you are submitting and images where relevant. Our platform requires exclusivity on any films submitted.